During a storm on the Chesapeake Bay, Joe makes an irrevocable decision and discovers the truth about himself. 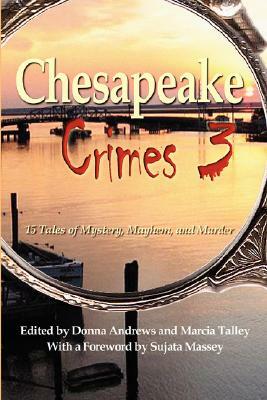 In Chesapeake Crimes 3, Wildside Press, 2008. Stories set in the Chesapeake Bay area, available from Wildside Press, Indie Bound, Barnes & Noble, and Amazon. When a hostess discovers which guest planned a delicious murder, she arranges just desserts for all. Read the story on this website. 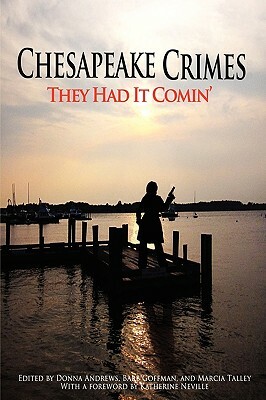 In Chesapeake Crimes: They Had It Comin', Wildside Press, 2010. Stories about villains who deserve their fates, available from Wildside Press, Indie Bound, Barnes & Noble, and Amazon. Jenny detests shopping with her husband. Can she do it without uttering the four little words every spouse loves to say but hates to hear? In A Shaker of Margaritas: A Bad Hair Day, Mozark Press, 2012. Humorous stories celebrating a woman's resilience on a difficult day, available from Amazon. All the books in the Five-Ingredient Mystery series are available in large print from Thorndike Press and Amazon.